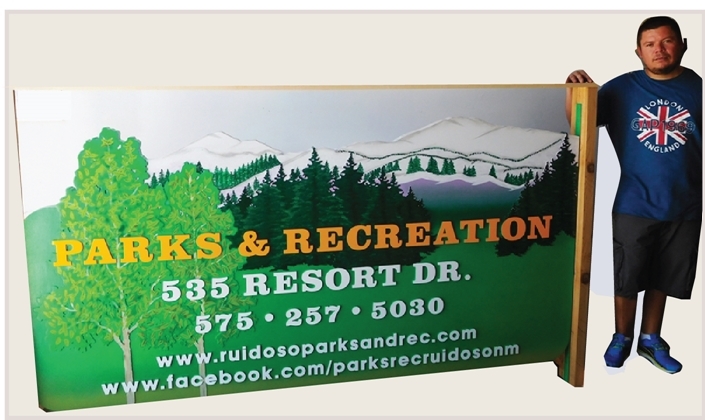 This beautiful Parks and Recreation sign for the City of Ruidosa features raised text and a multi-level 2.5-D relief carved mountain scene with evergreen trees. The signs is painted with and artist brush and an airbrush. The sign is clear-coated twice for additional UV and weather protection. This large sign can be mounted between two posts, or placed on a monument base..